If you could learn new tools to use to integrate parents into the play therapy process in a way that could facilitate healing, would you use them? What if you can be you in the play therapy room, no matter what the situation or circumstances … at ease, confident, caring, aware, totally present … regardless of who’s in the room with you? As play therapists, many of us have an easier time kids than we do with parents. The Keys to the Magic presents you with other possibilities. Anne Maxwell, LCSW, RPT-S has worked for over twenty years with kids and families as a play therapist and family therapist. 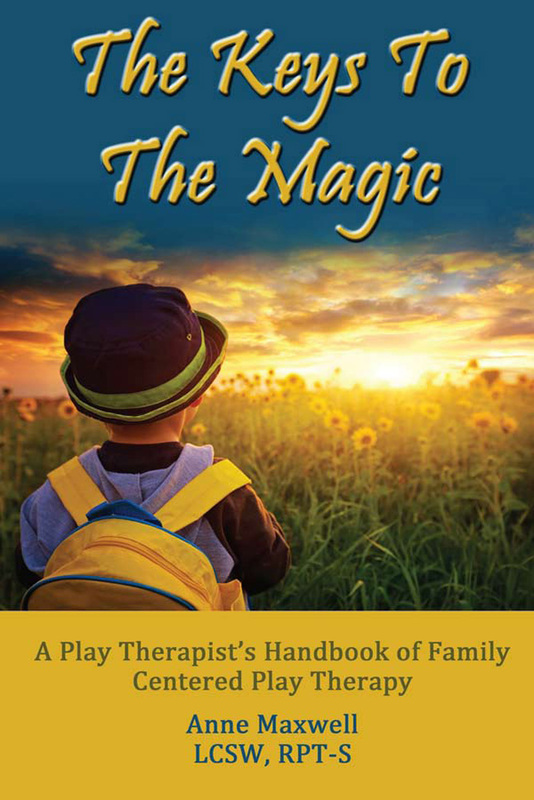 “Over the years, my practice has evolved into what I call Family Centered Play Therapy.” The Keys to the Magic provides you with an overview of Family Centered Play Therapy, and so much more. Anne Maxwell, LCSW, RPT-S, is a child and play and family therapist, and an Access Consciousness® facilitator. Known as the “Play Lady” by many of the children with whom she works, and as the “Kid Whisperer” by some of her colleagues, she has over 20 years of experience working with children of all ages and backgrounds, who have been given all kinds of diagnoses, as well as with adults and families. Anne now travels the world facilitating classes and has developed a unique approach for change for children and families. She teaches children and parents to tap into and recognize their own abilities and knowing, and to acknowledge that different is simply different; not right, not wrong. And, the results have been magical, phenomenal, amazing! Healing and change are so much easier, more effective, more fun and faster!